Unterstützung - Scoundrel. Kosten: 1. 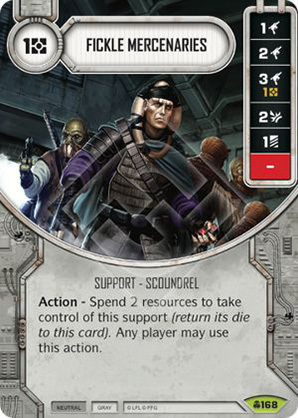 Action - Spend 2 resources to take control of this support (return its die to this card). Any player may use this action.